It's only a few days until Christmas. I am ready except for a couple things that have to arrive in the mail. I ordered in time and the items have been shipped, they just haven't arrived. It is out of my hands so all I can do is relax. Today my youngest daughter and her two boys came to our house We made Christmas cookies. It is one of those traditions that I really enjoy. 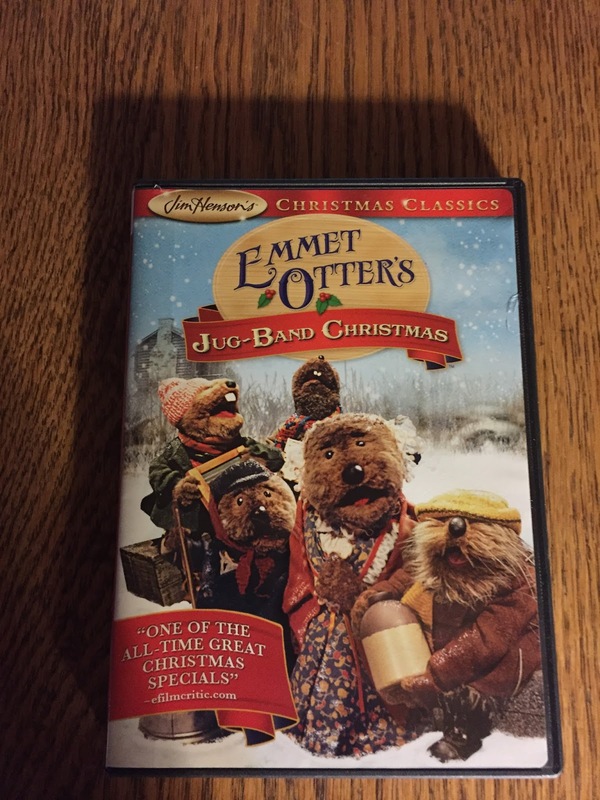 We always watch Emmett Otter's Jug Band Christmas while we are baking. A movie made in 1977 isn't that exciting for young people. They are used to such high quality technology and seeing some basic puppets bouncing around on strings is not as enjoyable. Let's just say they watched to appease us. I still like this antique movie being shown on our antique DVD player. Can you believe, it isn't even Blu-ray? We were proud that we upgraded from a VHS tape to a DVD. They did have fun rolling out the dough and eating a fair share of it. I know that isn't a good thing to eat raw dough, but they seem to like the dough better than the baked cookies. Another project of the day involved a project from Pinterest my daughter found interesting. She wondered if I could help her make the project. Cookies took longer than we thought and we ran out of time, so when she went home I attempted the project without her. It was a cute, fast and easy idea. A sewing machine or needle & thread. 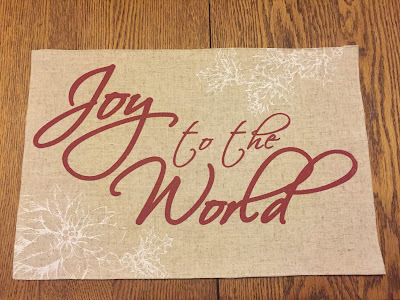 A place mat made of a coarse fabric backed with a lighter weight fabric. Remove a section of stitching connecting the two layers. Select a two sided or double fabric place mat with a pattern you like. 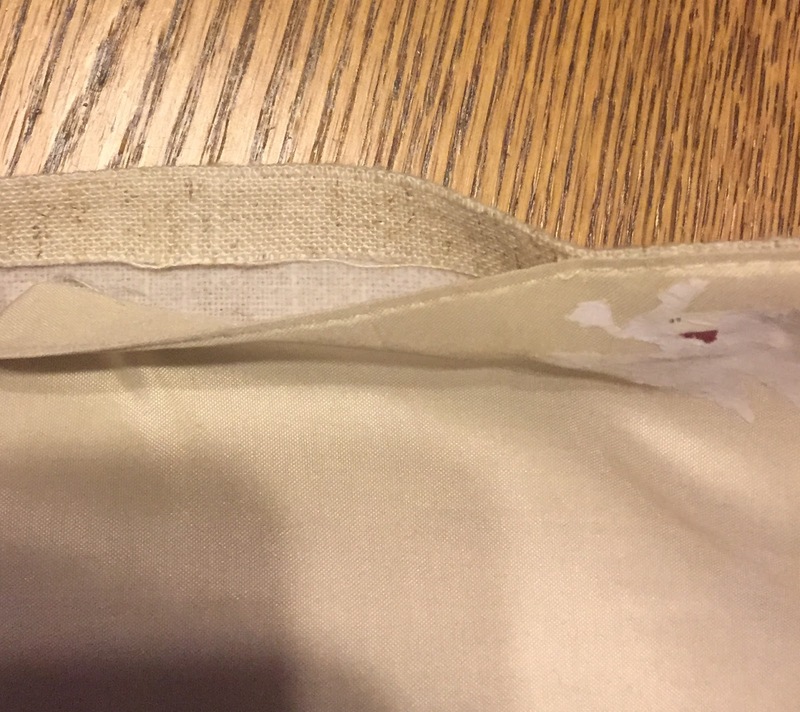 Remove a section of stitching so you can reach inside like a pillow case. Fill it with fiberfill to make a plump pillow. This will probably be used for a decorative pillow so just make it as smooth and thick as you like to make it pleasant looking. Then stitch up the section you took the stitching out. You can hand stitch it or top stitch with a sewing machine. This place mat was top stitched around so I just stitched up the section I opened up. If you need a quick gift, these can be made in thirty minutes or less. Anyone would like receiving one and they are quite pretty.